Universal Pictures StudioCanal and Working Title Films present an Endymion Films Production in association with WTA. Director: Gregor Jordan. 2003. Original music composed by Klaus Badelt. CD (ST) Decca Records. 473 995-2. 2003. 01. Shelter For My Soul. Performed by Bernard Fanning. (4:50). 02. Saving a Life. (3:17). 09. Moreton Bay. Performed by Bernard Fanning. (2:51). 12. The Jerilderie Letter. (2:08). 14. The Glenrowan Inn. (7:02). 15. 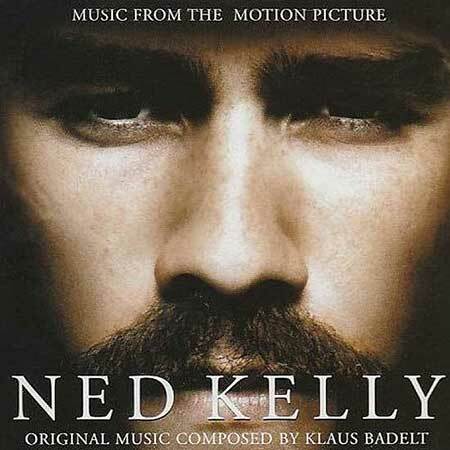 Remembering Ned Kelly. (1:24).